Jay S. Albanese is Professor in the Wilder School of Government and Public Affairs at Virginia Commonwealth University. A celebrated authority on criminology and criminal justice, he is the former head of the International Center at the National Institute of Justice – the research arm of the US Department of Justice – and has received many prestigious awards, including The Elske Smith Distinguished Lecturer Award from Virginia Commonwealth University, and The Gerhard Mueller Award from the International Section of the Academy of Criminal Justice Sciences. 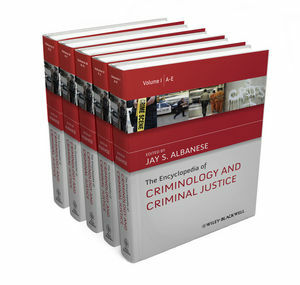 Dr. Albanese is the current chair of the American Society of Criminology’s Division of International Criminology. He is the author or editor of more than 15 books, including Professional Ethics in Criminal Justice: Being Ethical When No One is Looking (Third Edition, 2012), Transnational Crime and the 21st Century (2011), and Organized Crime in Our Times (Sixth Edition, 2011).